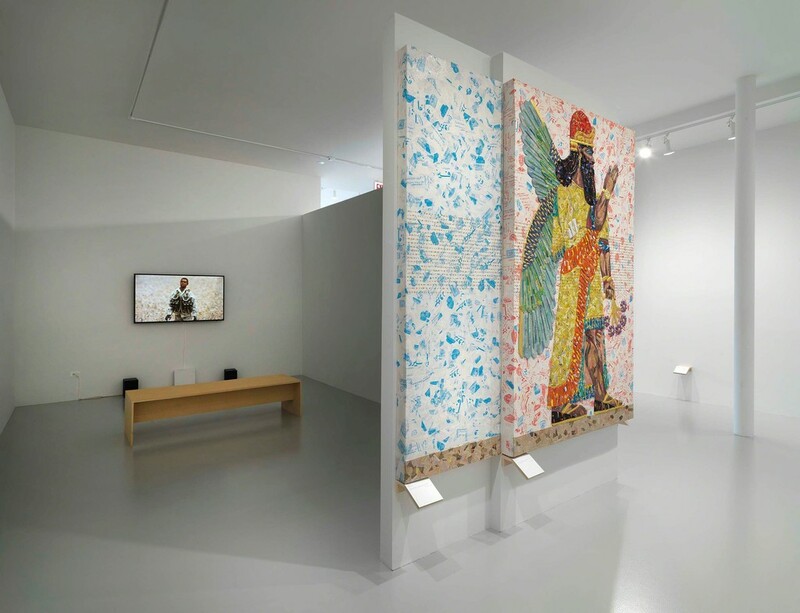 Continuing the artist’s ongoing project The Invisible Enemy Should Not Exist, the exhibition features a representation of the Northwest Palace of Nimrud’s Room Z, which was destroyed by ISIS in 2015. Also on view is the related video The Ballad of Special Ops Cody from 2017. The gallery’s architecture has been transformed into the layout of Room Z in King Ashurnasirpal II’s 9th century BC palace (near present-day Mosul in northern Iraq), which stood uncovered as a powerful testament to the Assyrian Golden Age from its 1854 excavation by British archaeologists until its tragic destruction in 2015. 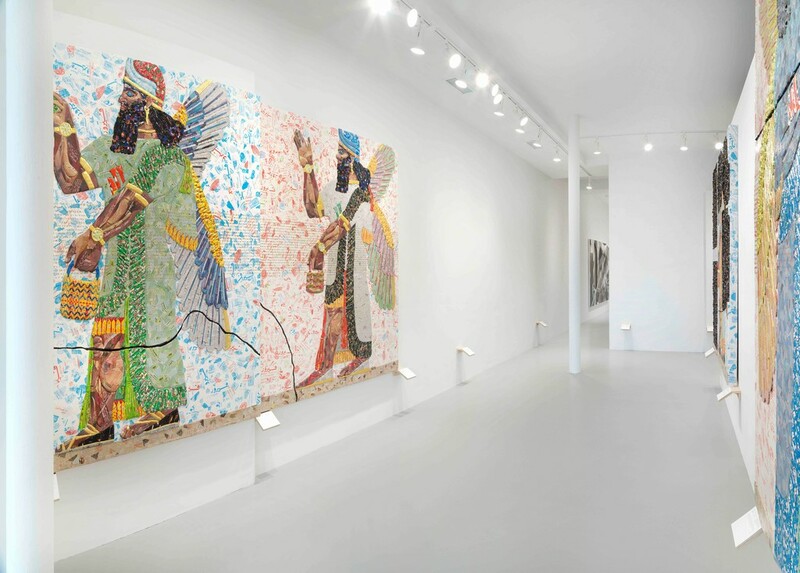 Working with a team of assistants, Michael Rakowitz has reconstructed the monumental limestone reliefs that once lined the palace walls with depictions of apkallu or winged guardians with human heads, who hold offerings of pollen and young date fronds, beneath cuneiform extolling the King’s greatness. Room Z appears as it stood at the time of its untimely demise with only seven of thirteen panels present. 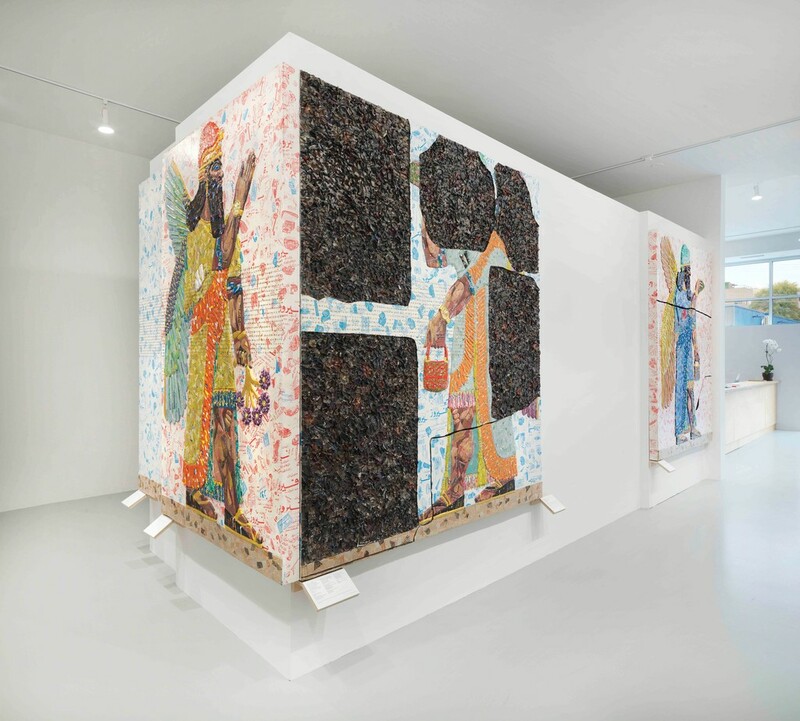 Michael Rakowitz pays tribute to the previous removal of six panels, now located in collections of Western museums, by leaving a blank space and museum label showing those reliefs’ provenance. 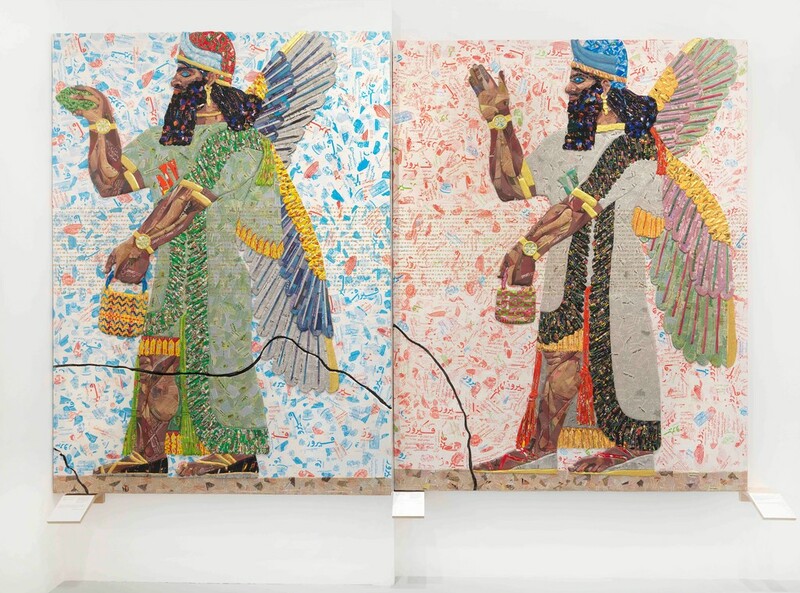 Thus acknowledging the continued history of displacement in Iraq, Michael Rakowitz creates what he calls a palimpsest of different moments of removal.